The Sony NEX-FS700 is a professional, modular camera with a 11.6 million pixel Super 35mm sensor that is at a 4K level but this version will not write to 4K (please see our 4K ready version to actually record in 4K on an FS700). This high-speed readout chip is optimized for motion picture shooting, producing exceptional image fidelity with high sensitivity, low noise and minimal aliasing. The main attraction of this camera is the ability to capture 1080p at 240 FPS super slow motion (8 second bursts) with reduced resolution at 480 FPS and 960 FPS. This FS700 comes equipped with 4 built-in ND filters, 3G/HD-SDI output, 50/60 Hz control (for NTSC/PAL). It also sports gain controls, an embedded timecode, expanded focus peaking, a histogram, a shotgun mic, and dual XLR inputs. It pairs well with the optional Convergent Design Odyssey7Q Sony FS RAW Monitor & Recorder for both compressed and uncompressed recording. This camera is ideal for 2nd unit shooters or for anyone working on feature films, commercials, music videos, or recording lectures. • This camera is not 4K ready. 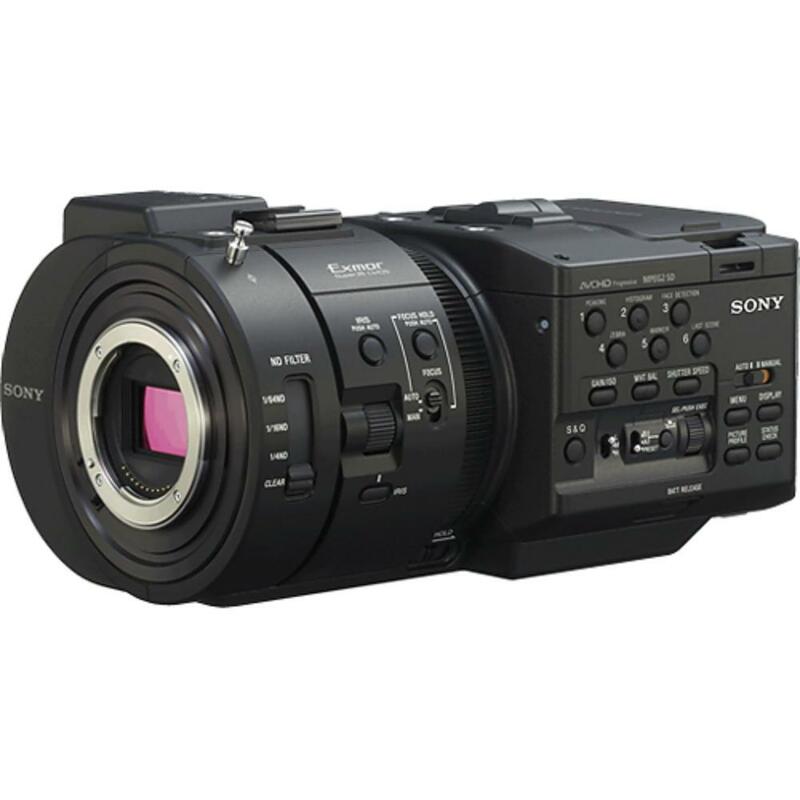 For Sony FS700 4K recording, please see the Sony FS700 4K Ready Camera. • An SD memory card is not included.